Estimate your character, your worldview, your love for God, and your obstacles to growth. It’s anonymous and free of charge! 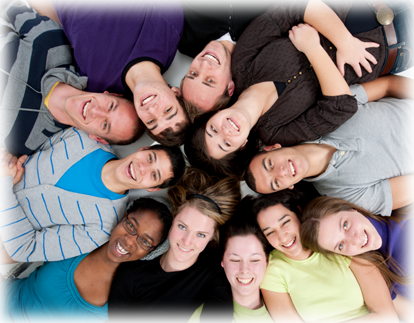 Estimate the spiritual condition of your school or church, professionally and for a price that fits your budget. 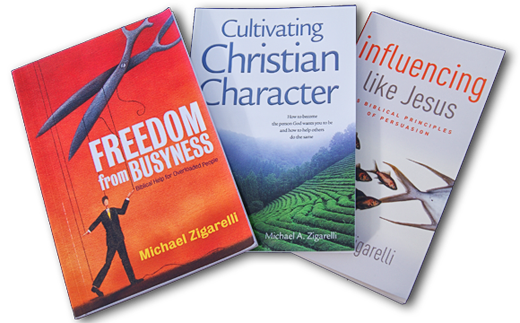 Dozens of free articles plus books for character growth, leadership development and much more! More than 35,000 Christians since 2002 and dozens of Christian organizations. 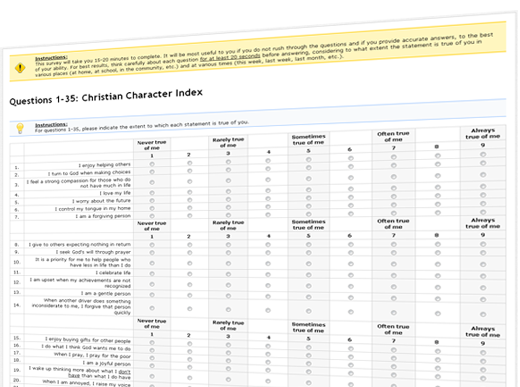 Click here to learn more about the theology, design and validity of the Assess Yourself survey tools. What does Christian mean on Monday morning? To find out, visit our sister site, Christianity9to5.org, for dozens of articles and book chapters! Dozens of videos to help you develop your leadership skills and make more of a difference in your spheres of influence.